I suggest that everyone writing about Ukraine take an honest look at what has been written and analyze the accuracy of our predictions. I think we will be forced to admit that we often failed to keep up with the events in Ukraine and thus drew erroneous conclusions. I will mention just the most glaring misjudgments. 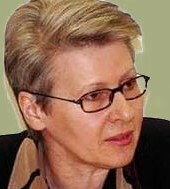 Most analysts and Western politicians believed that President Viktor Yanukovych would sign the Association Agreement with the EU; they did not believe that he would dare to use force; they underestimated Moscow’s potential to be an active player on the Ukrainian political field; they overrated the influence of the Ukrainian opposition and underrated the Maidan’s role; they were unprepared for the rise of the new protest forces represented by the Right Sector and the Maidan self-defense formations; they exaggerate the passivity of Ukraine’s southern and eastern regions; they underestimated the Ukrainian people’s readiness for self-sacrifice. None of us could promptly identify the crisis of a post-Soviet state and the collapse of the model of governance that exists in all of the post-Soviet states (with an exception of the Baltic countries). Finally, the analysts misjudged the agreement between Yanukovych and the opposition leaders brokered by the German and Polish foreign ministers (with the input from the French foreign minister and a Russian presidential envoy). The agreement lasted less than a day, and the absence of enforcement mechanisms is not the reason for its failure. Rather, the agreement did not address the interests of the protest segment of Ukrainian society, which would not tolerate Yanukovych’s presence on the political scene. This deal was about a gradual regime change, thus preserving the old-system interactions and elite clans and enabling them to regroup in the course of the year. It is not coincidental that the Kremlin is defending this agreement with such passion. Perhaps, Frank-Walter Steinmeier and Radosław Sikorski, who forced the deal, tried to take Moscow’s interests into account and avoid irritating President Vladimir Putin. Perhaps, they feared the growing strength of the Maidan and the Right Sector, trying to resolve the conflict without the inclusion of the new players. In any event, the February 21 agreement bit the dust the day after being signed. Its only positive outcome was involving Yanukovych in the protracted negotiation process, which precluded him from aggravating the situation even further. But the agreement that ignored the sentiments of the Ukrainian people and the rising wave of protests in the south and the east definitely affected both the opposition leaders’ and the western mediators’ reputation. I am not going to predict how the Ukrainian events are to unfold in the future—it is impossible. Nevertheless, I believe it is possible to discern a number of emerging trends, which will remain relevant in the nearest future. · Ukraine now has new forces that reflect the protest elements in society; new leaders (including those representing the Maidan and the Right Sector) are emerging and have already been publically legitimated. There is a need for a dialogue with these forces. In fact, they enjoy greater credibility than the established opposition, which is accused of reflecting the interests of oligarchic clans. The “maidanization” of the southeastern regions also has to be taken into account. It will bring forth its own new leaders. We have to keep in mind that the old clans and the 2004 opposition attempted to take control of the situation, thus reproducing the clan system of rule. · Ukrainian society was able to invent a new form of self-organization personified by the Maidan protests across the country. The Maidan will become a new political institution that the new Ukrainian regime and the West will have to deal with. · No matter which course the Ukrainian events take, overcoming the crisis in Ukraine clearly requires the formation of a new system. To start the process, the presidential and parliamentary elections must be held as early as this spring. Some urgently-needed amendments to the Constitution can be passed immediately, while the other changes can be worked on later. That is what the Poles did during their Velvet Revolution. But it should be remembered that at this point the question of Ukraine’s “federalization” is being exploited by the supporters of the old regime. · The West needs to ponder the following points: making good on the promises made by the German and Polish foreign ministers to return to the issue of signing the Association Agreement between Ukraine and the EU and Ukraine’s prospective EU membership; discussing the Western guarantees of Ukraine’s sovereignty and territorial integrity; the urgent aid to the Ukrainian government of national trust; the return of assets stolen by the Ukrainian leadership and kept in the West to Ukraine, as well as the unacceptability of the trilateral format of discussing the Ukrainian affairs. The Europe—Ukraine—Russia format, which some in the West (for instance, in Berlin) insisted on, will just complicate Ukraine’s exit from its old system and will be opposed by the major part of the Ukrainian population. And perhaps, most importantly, the Ukrainians will have to deal with a whole host of new tactics employed by the Kremlin, which remains the most influential international player in Ukraine. The Kremlin scenarios do not limit themselves to the support for Ukraine’s federalization and the Georgian scenario. They also include Moscow’s willingness to support any opposition government (Putin dropped this hint some time ago). Besides, Moscow hopes to have a dialogue with Yulia Tymoshenko. It is not hard to understand what the terms of such a dialogue will be. Thus, the Ukrainian drama is far from over, and the international actors bear responsibility for its length and excruciatingly painful results. As the conflicts drags on, some of them just sit on the fence and talk, while others lend their support to the old regime.